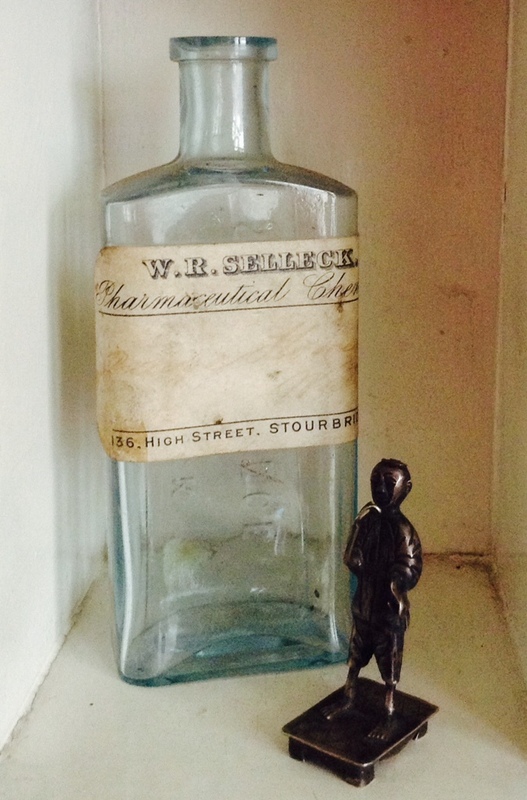 We found this bottle from a long gone, yet local, chemist in the shed. Shortly after we found this little oriental fella behind the heater… Looks like he’s lost a pipe? Both keepers. We also found this Unidentified wooden object, still no idea what it is and would love to know. 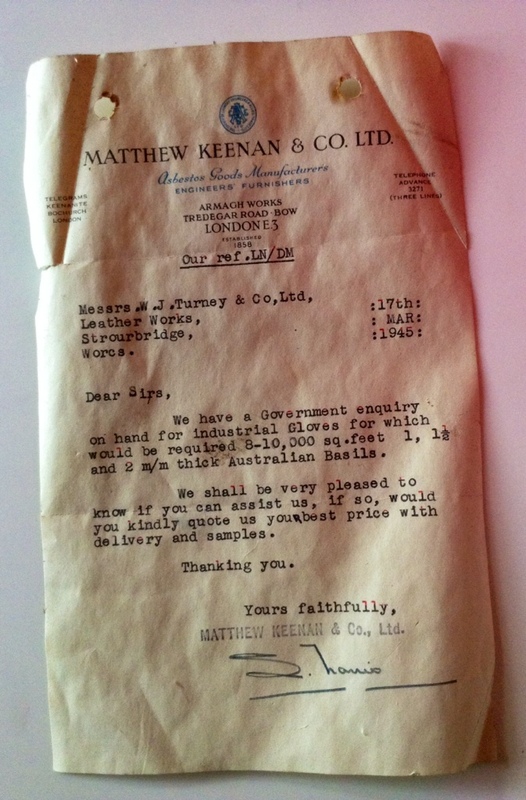 This letter floated down from the attic, product development doesn’t seem to have changed that much in 50 years. Next, from behind the radiator, came this cake box. 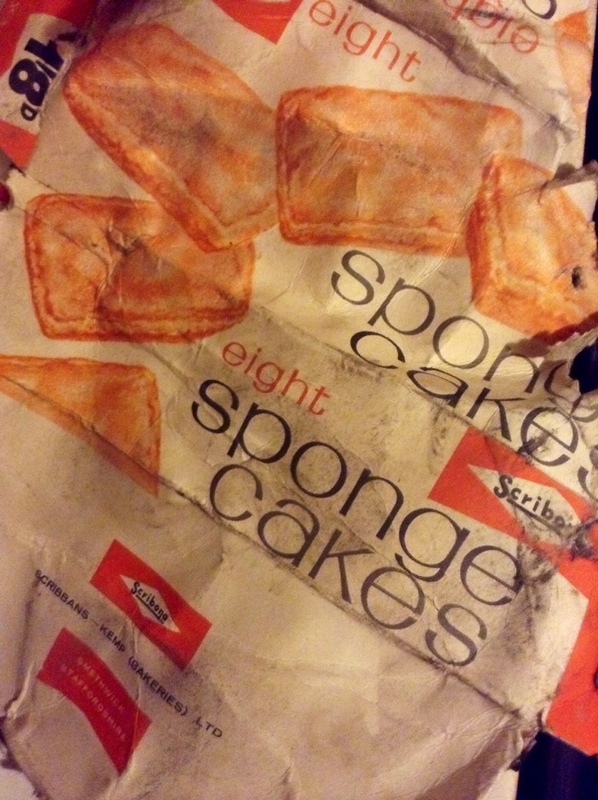 There was a bakery in Smethwick apparently, and they sold little boxes of cakes for 1’9d. 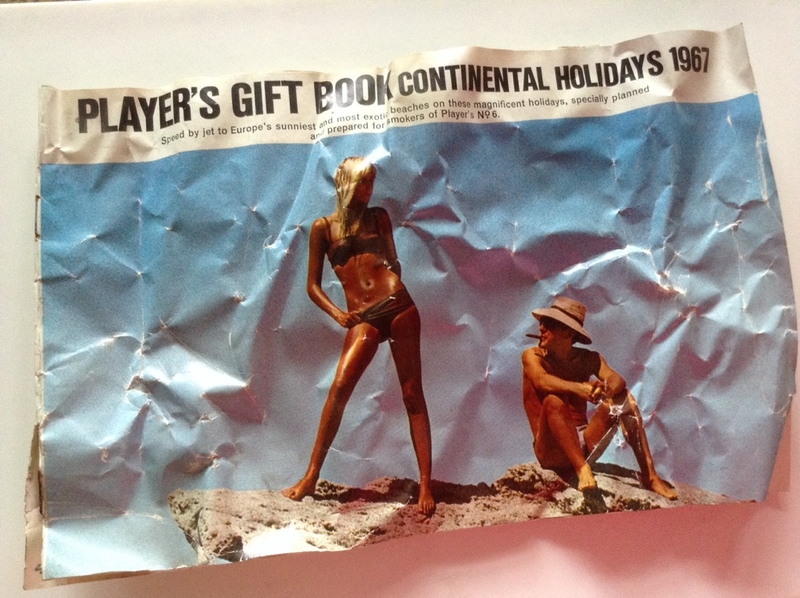 This was shortly followed by this 1967 holiday brochure, exclusively for smokers! Hmm… What else? 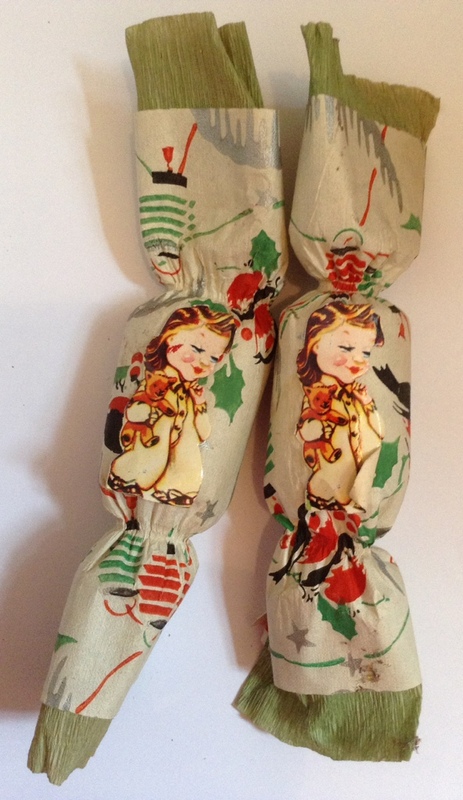 These Christmas crackers, though the contents are a little disappointing by today’s standards! 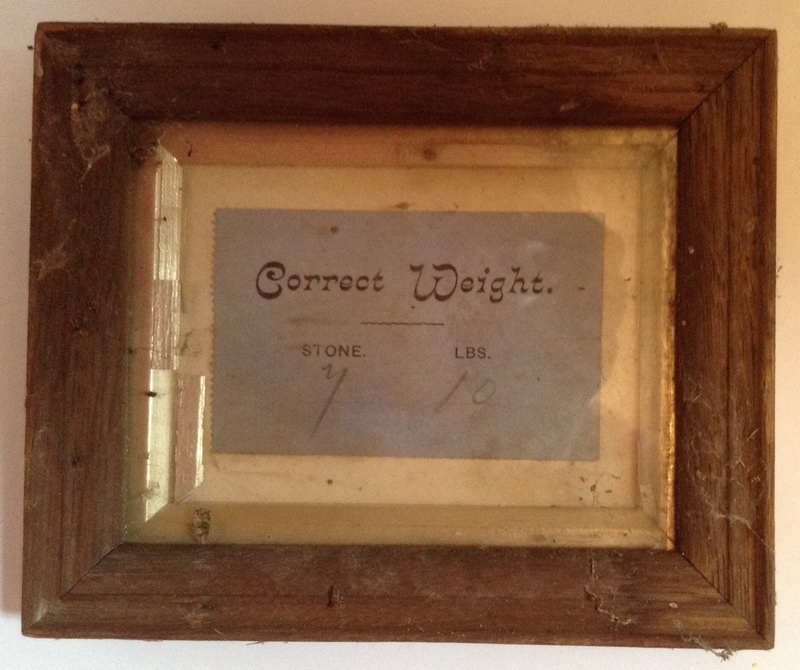 I’m loving this diddy framed certificate for a correct weight, of 7 stone 10, a giant marrow perhaps!? 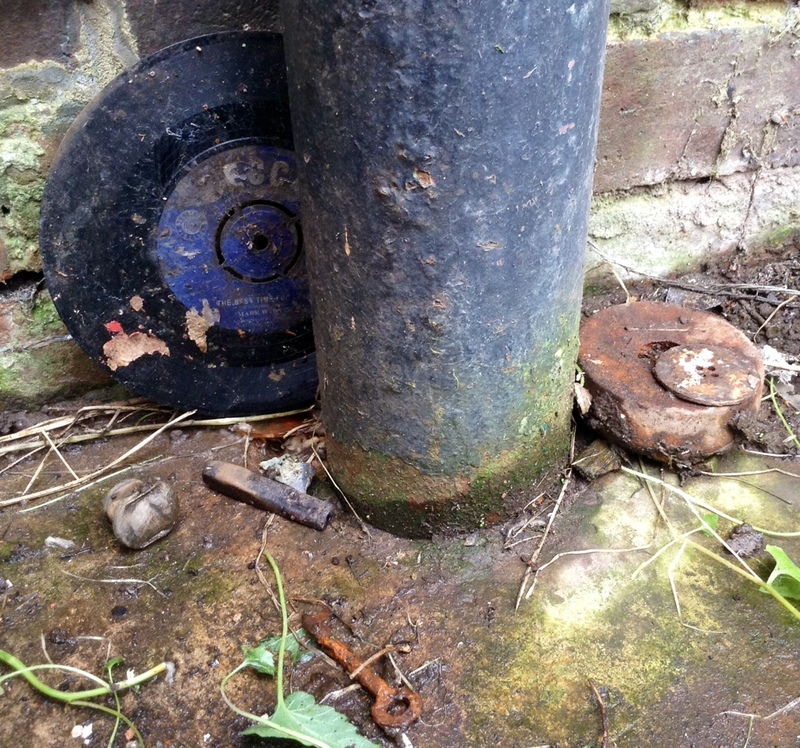 In the drain we found an odd little selection, a vinyl single, a silver bottle top, a kitchen weight, a button AND a key. What more could a girl ask for? This little guy was hiding in the long grass, he’s lost his little legs bless him, but I’ll find him a home in the garden. A festive find! 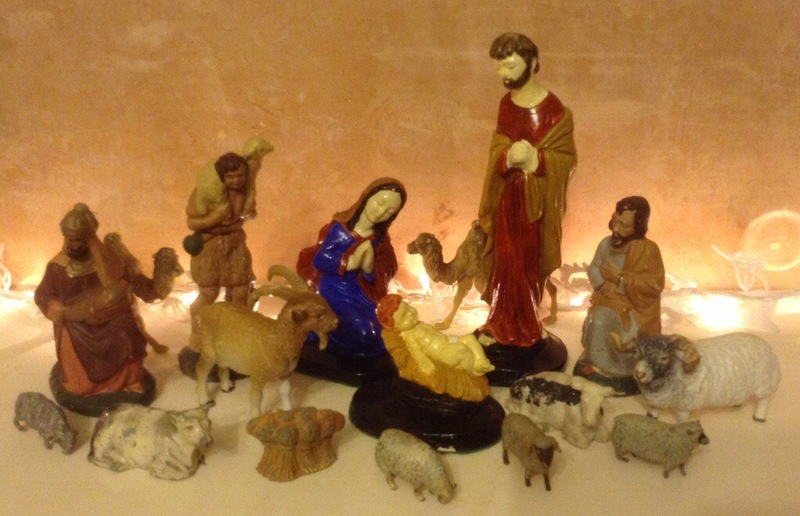 The Nativity Set, found in a cake tin in the attic, a bit sad as I think of the house once being home to a family playing with baby Jesus, but hey, it’s ours now, and we have the kitchest mantle in town! This mornings find is these curious iron ‘things’, which I found in the hedge. They are about 25 cm tall and solid iron. 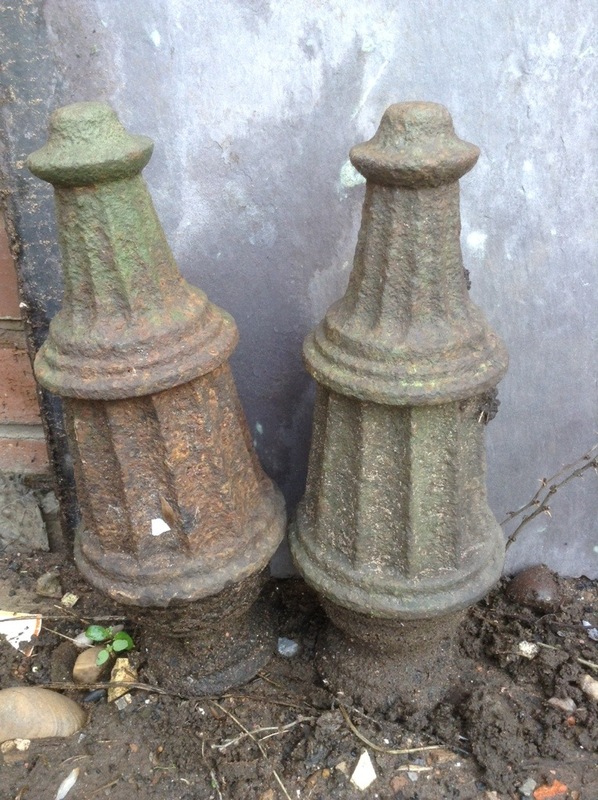 They have a hole in the base as though they once screwed onto something as a finial, such as gate posts? I can’t imagine there were ever gates on this house, certainly not on such a grand scale anyway. Does anyone have any other suggestions? I rather excitedly, thought it might be from the Guest glass factory, as one of the Guest brothers lived here at the turn of the century. I trotted off to our local auction house for a second opinion, but it’s apparently unlikely. 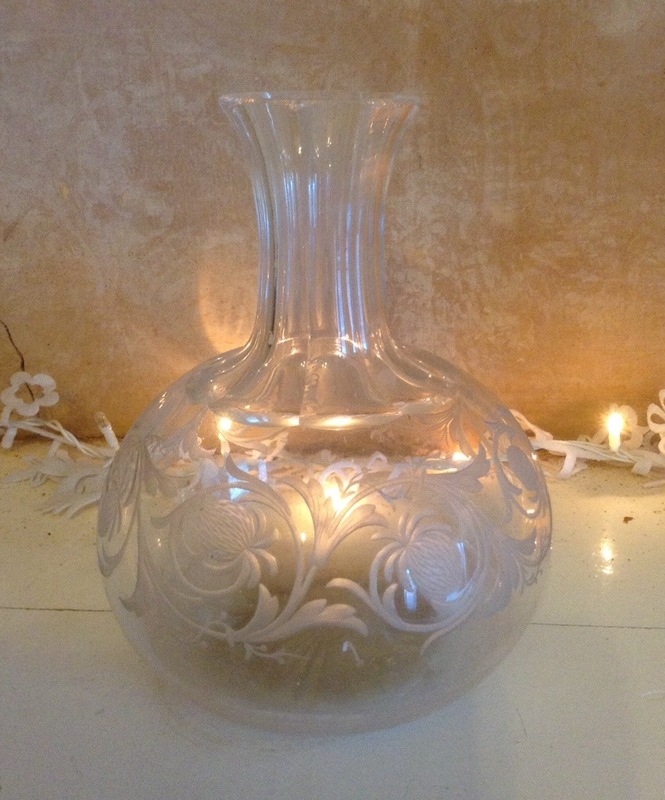 It’s local glass, from around 1850, so I guess may have belonged to the Guests, but probably not made by them. 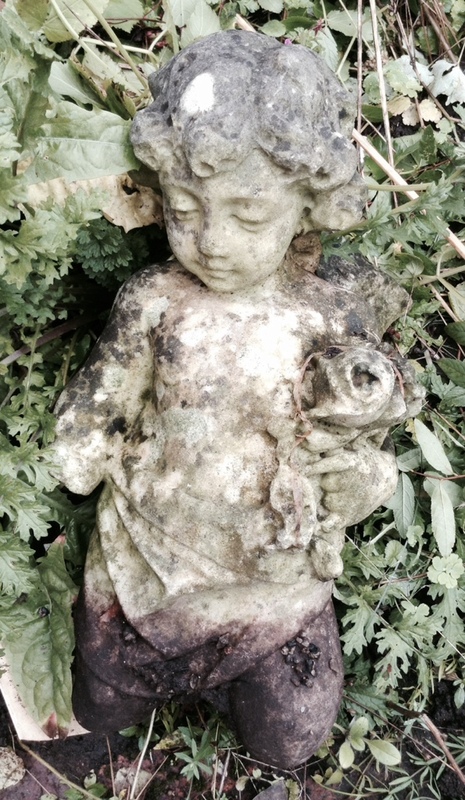 I’ll keep looking out for something of theirs, feels we should have a piece in the house. OMGOSH. I am in heaven seeing all these things, but more, your appreciation for them. Others would toss them, losing the history of your home. 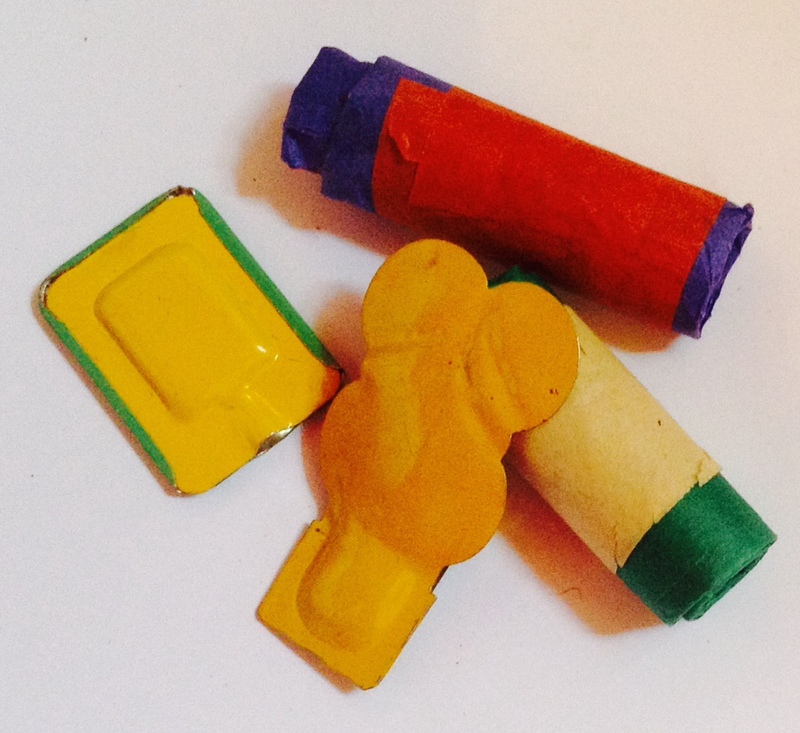 These all tell a story, and now it’s yours to tell. Love it!! Oh god no, I can’t throw anything like that away…I worry I turn into one of those crazy hoarder lady types one of these days….